Ariana is one of our darker Genesis daughters out of an older black female. She is a huge step up from her dam and continues to look better every time we open her fleece. She has a strong frame and carries a very uniform, well crimped fleece. Ariana has some excellent potential to throw you some dark high quality fleeces. 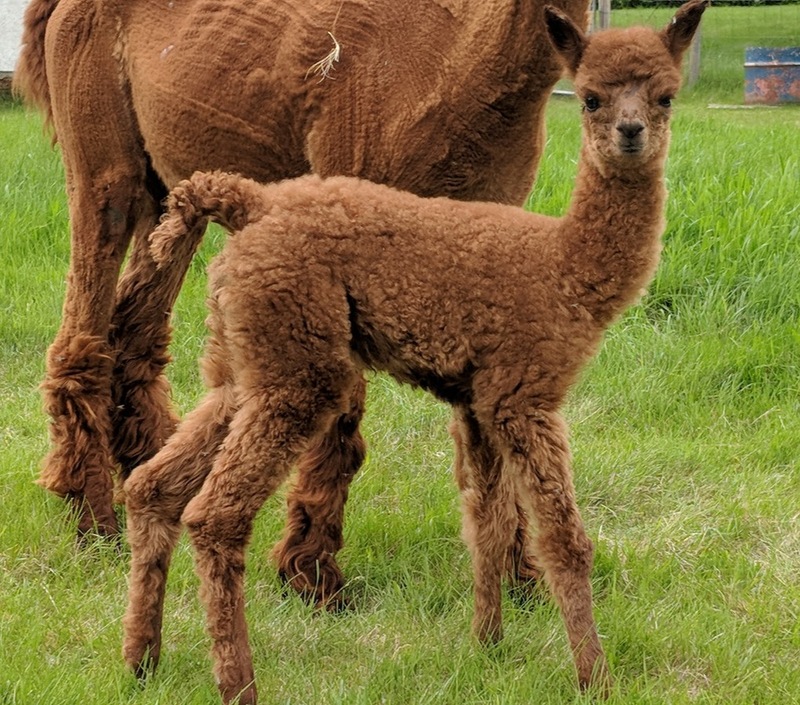 Ariana was bred to Enchanted's Castiel for a 2018 cria and she had a female, see picture below. We are excited to see her mature.